Need to hire a Colorado workers’ compensation attorney to represent you? Settling a workers’ compensation dispute in Colorado is a complicated and drawn-out process. In order to stand any chance of winning your case against your employer or their insurance company, you will need to hire a lawyer with plenty of experience, skill and knowledge. The Babcock Law Firm specializes in work injury cases and workers’ compensation disputes throughout the state, including Denver, Littleton, Aurora, Boulder, Lafayette, Broomfield and other Colorado cities. 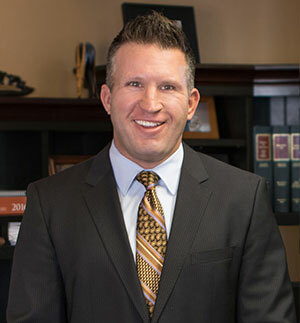 Colorado workers’ comp lawyer Mack Babcock belongs to several legal associations, including the Colorado and Denver Bar Associations, the Colorado Trial Lawyers Association, the Workers' Compensation Educational Association and the Colorado Professionals in Workers' Compensation. He’s also included on Super Lawyers' 2010 list of "Rising Stars" in Colorado. In addition to having numerous industry accreditations, we stand committed to providing the best representation to injured Colorado workers - as these client testimonials prove. Description: Retained to address issues following motor vehicle accident while working. Negotiated final settlement. "I found Mack Babcock and the entire firm to be highly professional yet very personable. They took the time to explain each step of the way. Mack was very thorough in his explanation whenever I had questions or needed clarification. I would highly recommend Mack and his team to anyone who has been forced to navigate the complex landscape of workers compensation. Thank you Mack, Jan and Aiden, it was such a pleasure working with all of you!"